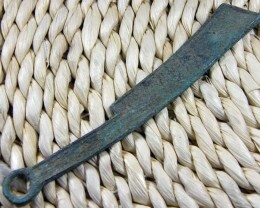 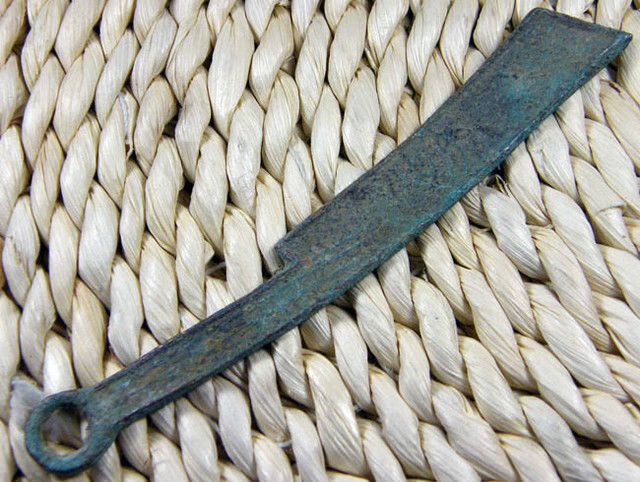 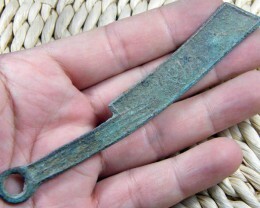 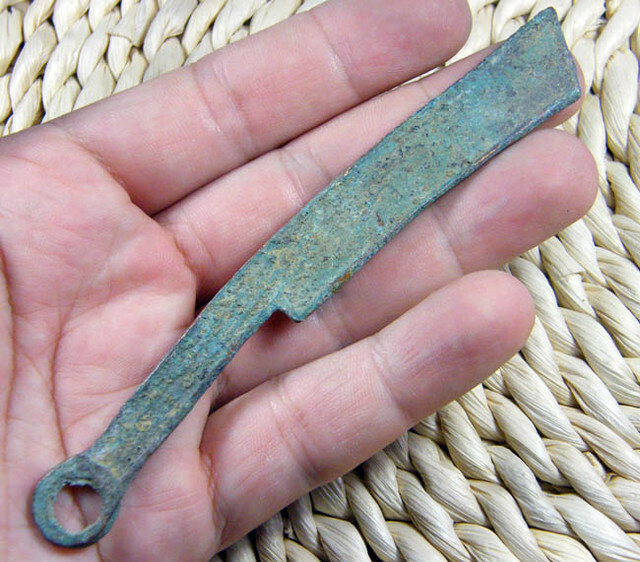 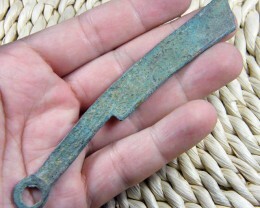 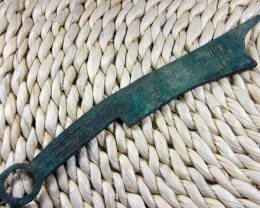 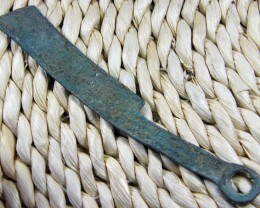 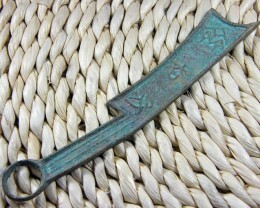 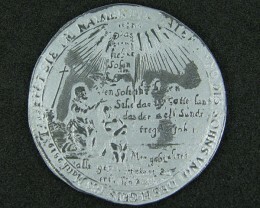 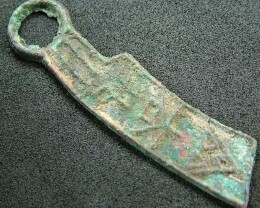 Knife-shaped coin was the copper coin made by ancient people immitating the shape of knife. 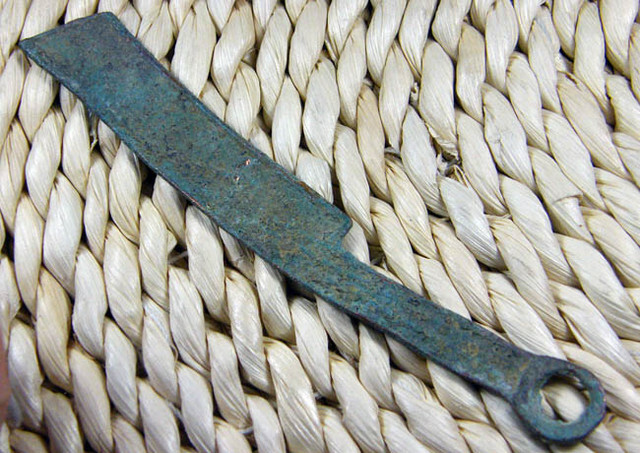 It was popular from the middle and late period of Spring and Autumn Period (722-479BC)to the end of Warring States Period. 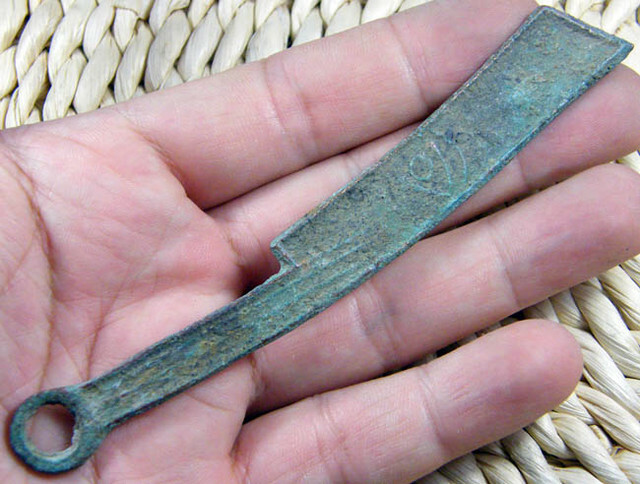 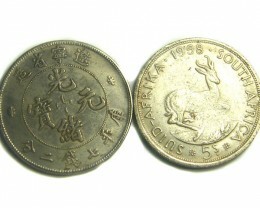 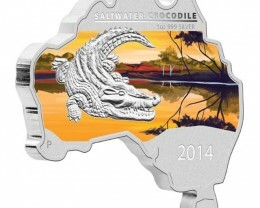 It could be categorized as pointed knife, pointed-head knife, needle-head knife, Ming knife, scissor-head knife and straight knife according to the shape of coin. 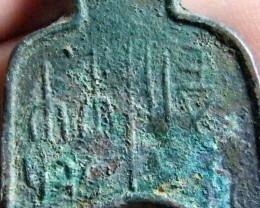 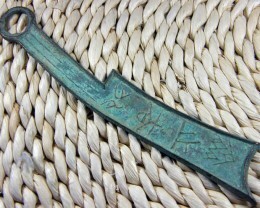 THIS IS A MING KNIFE COIN, WAS THE MAIN COIN USED BY YIAN STATE.ON THE SURFACE OF THE COIN, THERE IS A LETTER VERY MUCH CLOSE TO WORD "MING".BUT REAL MEANNING REMAIN UNKNOW.THERE ARE MORE THAN ONE HUNDRED DIFFERENT TYPES FOUND.